Marko Arnautovic is hopeful West Ham United will win against Stoke City this evening to further the gap between themselves and relegation. After suffering three successive defeats, West Ham have picked up four points from their last two matches, including a 1-1 draw with Chelsea at Stamford Bridge last time out. “We can make the gap between us and the bottom bigger on Monday so we’re doing everything we can," he told West Ham’s official website. "We just need to concentrate and put in the effort, and I'm sure we will win the game." 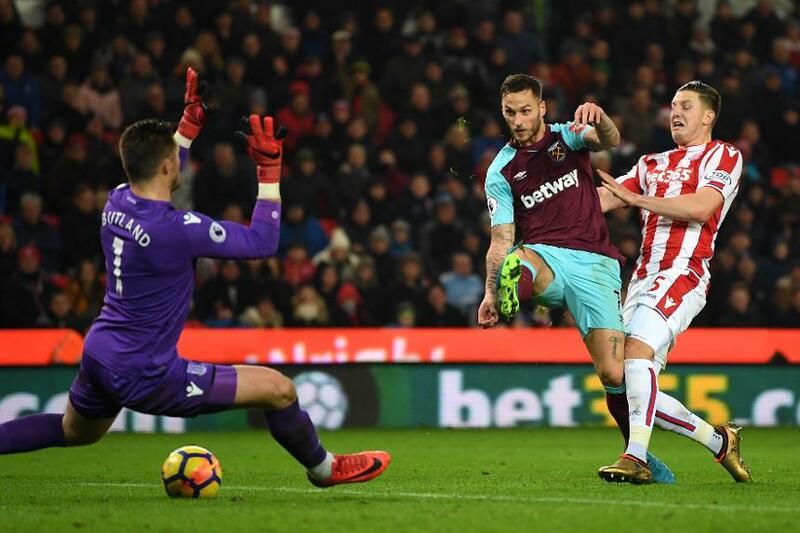 Arnautovic scored against his former side in a 3-0 win when the two teams last met back in December and he is aiming for a similar result at London Stadium. "A win would be a big step," he said. "This game is massive. It's a big game for us, for the cub, and for the fans. We will go all together on Monday and we will try as hard as we can to get the three points."